surrounded by several famous tourist attractions, on the very beautiful and scenic Panorama Route on the R37 between Nelspruit and Sabie in the Mpumalanga Lowveld. 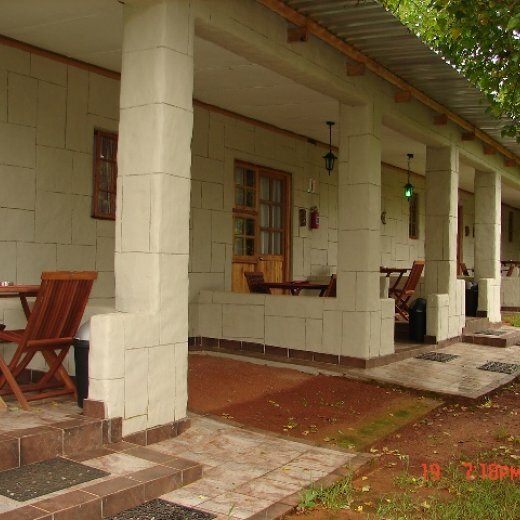 Cottages are self-catering and fully equipped and have two rooms (twin beds), bathroom (shower), open plan kitchen/dining/lounge.Patio area and braai facilities. Cottages 1 - 4 can sleep up to 4 people and cottages 5 and 6 up to 6 people. En-suite rooms have a queen sized bed and a bathroom with shower, basin and toilet. There is a small bar fridge as well as kettle and microvawe in each. 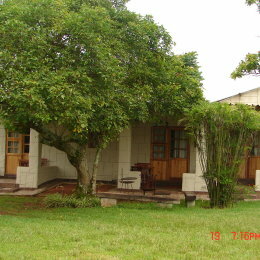 There is an equipped open air communal kitchen for the 6 en-suite rooms with a braai facility. All cottages and rooms are serviced ONCE DAILY BETWEEN 09:00 AND 14:00. Open parking available next to the cottage / room or under roof parking next to the main house. There is a welcome tray with Tea, Coffee, Rusks and Milk for arrival only. Thereafter it is self-catering. In total there is shared accommodation for up to 36 people. remember this is a GUEST FARM – we have three km of dirt road and we do have some lovable resident doggies (that we ask our guests not to feed bones to). MEALS: We are a self-catering facility and do not offer any meals.